What a beautiful snowy day, today! I hope everyone is driving safe on the roads!! I love sharing how we get the images we do, in my newborn studio. A portion of the images you see during a session are called "composite" images. This means that we combine two or more images in Photoshop to create the finished photograph. These techniques are employed for the safety of the baby. Our rule is that we ensure hands are near or on the baby at all times. Newborn photographers take classes, workshops and do a lot of research in order to ensure they are confident handling your baby safely throughout a variety of poses. As a mom myself, it is paramount to me that every ounce of care is taken during a session! I receive a lot of requests for this type of image (below) from parents. Many don't know that it's a combination of 2 images. We would NEVER pose a baby on their own in this fashion, because they cannot support their own head. 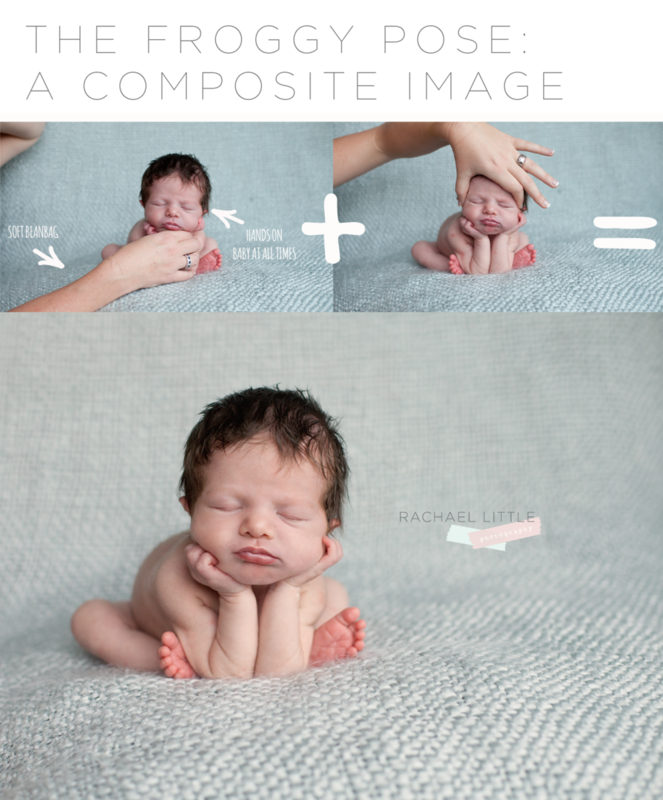 This pose is not something you should attempt if you're new to newborn photography. Below is how we combined two images together to create one. This little doll was in a deep sleep when these images were taken. As you can see she is relaxed, and her momma (or in some cases, my assistant) was supporting her carefully throughout.